We are an Urgent & Primary Care Clinic with TeamCME! Get help now at our Urgent & Primary Care Clinic at our Helpful Office located in East Greenbush near Albany, NY! Urgent & Primary Care is established to serve patients in Albany and surrounding areas. The clinic is open 6 days a week and provide high quality service. Dr. Bhoiwala spends time to provide individual attention to patients. Urgent Care provides a variety of services and this includes minor procedures such as laceration repair, biopsy, abscess drainage, etc. Urgent care should never be delayed and we take that very seriously here at Urgent & Primary Care. We offer a range of urgent medical services that require immediate attention for non-life threatening conditions. Ever since we opened our doors to the community, we have been focused on providing quality medical care at affordable prices. Our onsite staff is comprised of physicians and medical assistants, who are dedicated to making your care affordable and thorough. Even simple ailments can point to hidden chronic conditions. At Urgent & Primary Care, your family’s health is our main concern. Dr. Bhoiwala is a certified physician that can help you manage conditions and improve your quality of life at the same time. We provide primary care for a wide range of illnesses from routine health examinations to managing chronic conditions in East Greenbush, NY. Dr. Bhoiwala, promotes good health via preventive medication, health education and screenings. 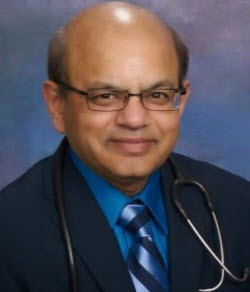 Dr. Bhoiwala who specializes in Rheumatology is dedicated to the diagnosis and treatment of rheumatologic diseases such as rheumatoid arthritis, lupus, gout, osteoarthritis, ankylosing spondylitis osteoporosis, inflammatory muscle conditions and many other connective tissue diseases. We also diagnose and treat fibromyalgia, bursitis, tendinitis, etc. Need help now? Dr. Bhoiwala knows how important it is that you can get medical help right away. With his extensive knowledge of the Urgent and Primary Care system, Dr. Bhoiwala will help you with all of your urgent care needs. Need medical help at our urgent care clinic today? We know your time is valuable! Same Day Appointments, just give us a call! No Waiting! We are committed to helping you with your medical needs. Looking for an Urgent and Primary Care Clinic in East Greenbush, New York near Albany, New York? You’ve come to the right place!